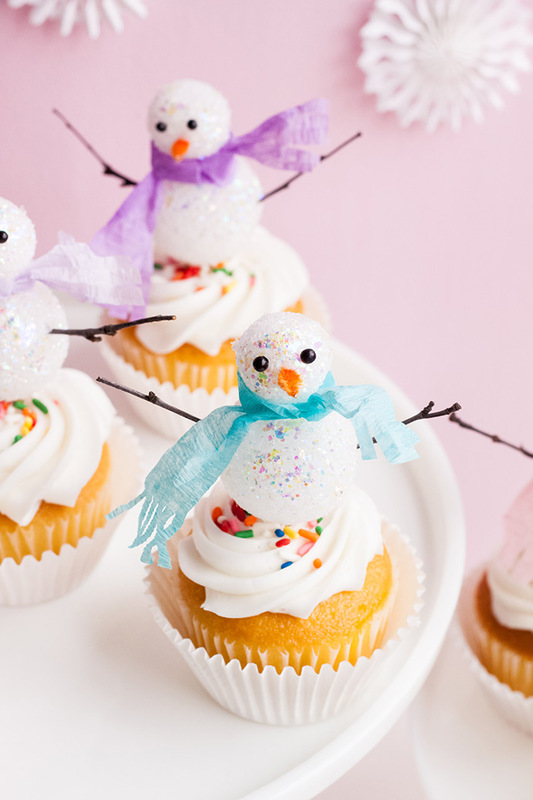 Make a winter play day extra magical with these DIY snowman cupcake toppers! 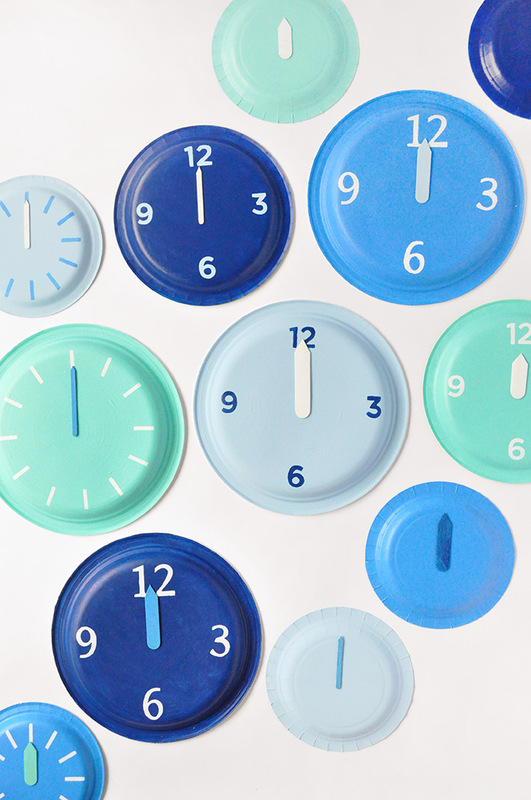 Turn paper plates into clocks for these quick handmade New Year's Eve decorations! 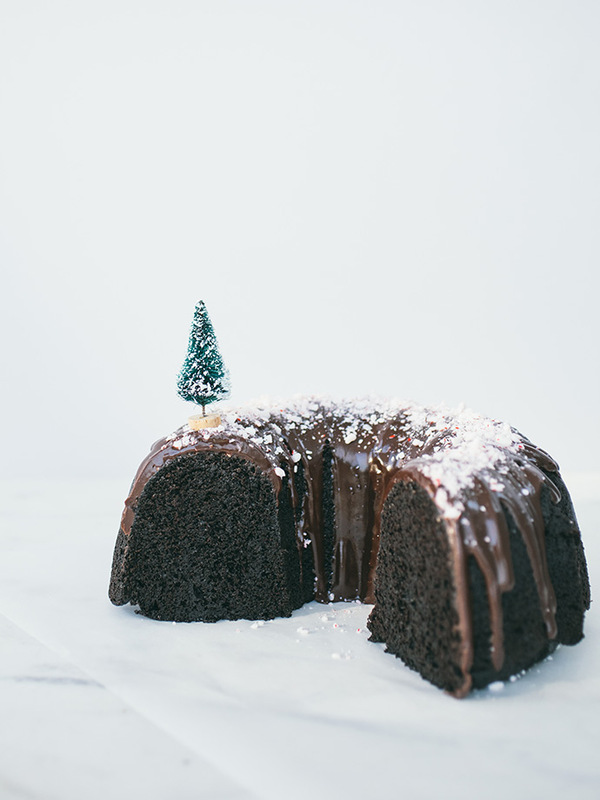 This bundt cake is a great way to showcase both chocolate and mint, and it's easier to put together than a layer cake. 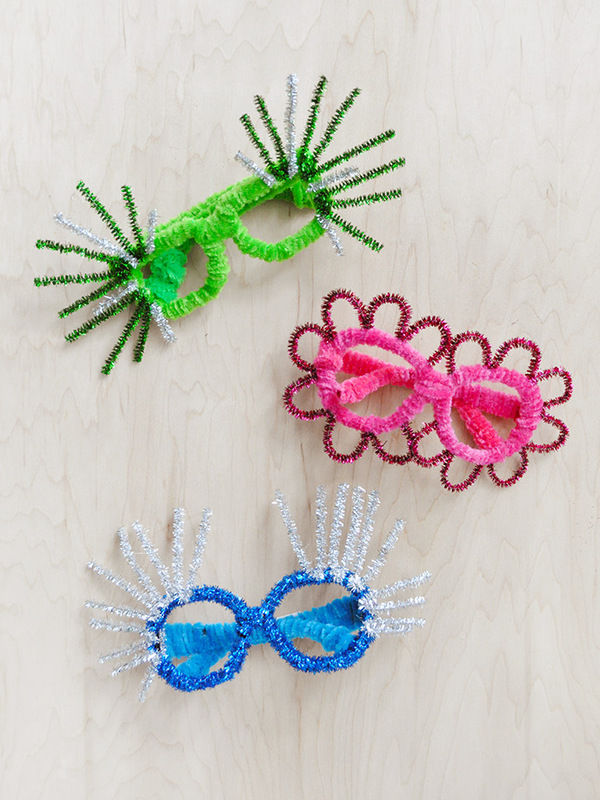 Make these glittering celebration glasses to ring in the new year! 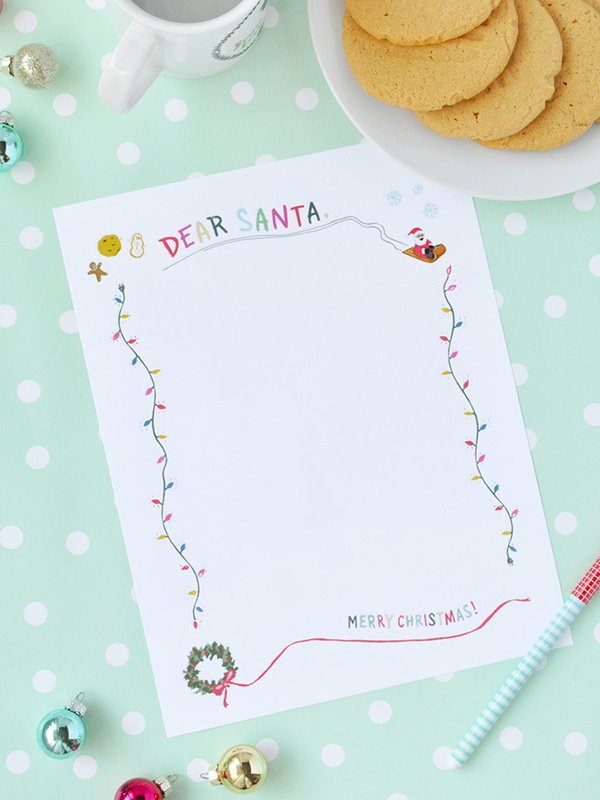 Kids will love writing a note to Santa to go along with his milk and cookies! Have you started your holiday baking yet? 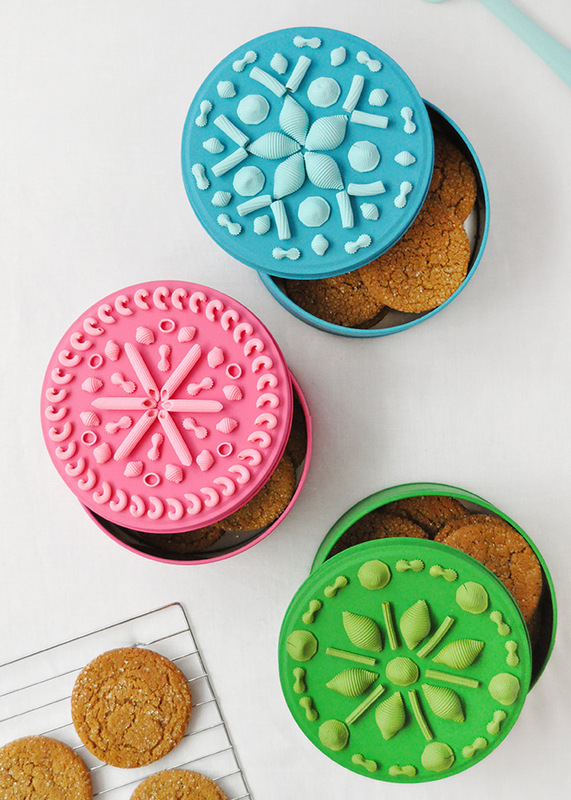 Put all your cookies in these DIY tins! 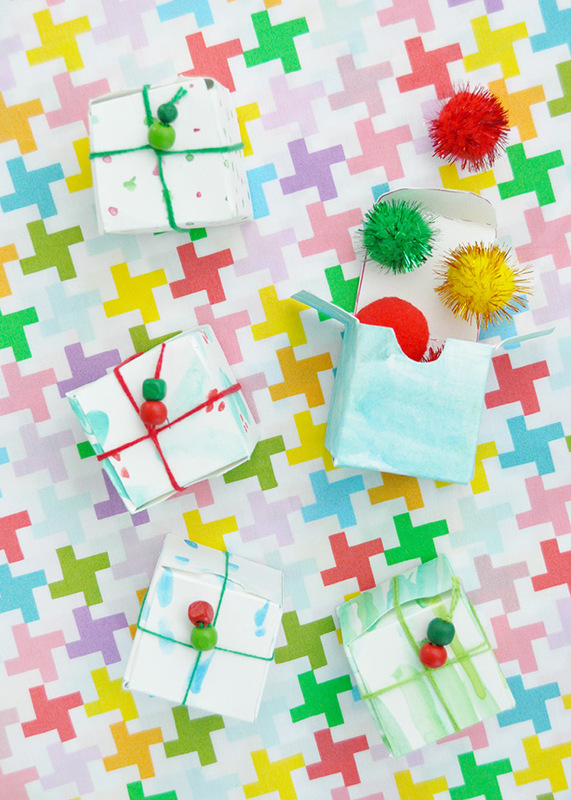 Make these completely custom watercolor boxes for all the small handmade gifts you'll be giving this year! 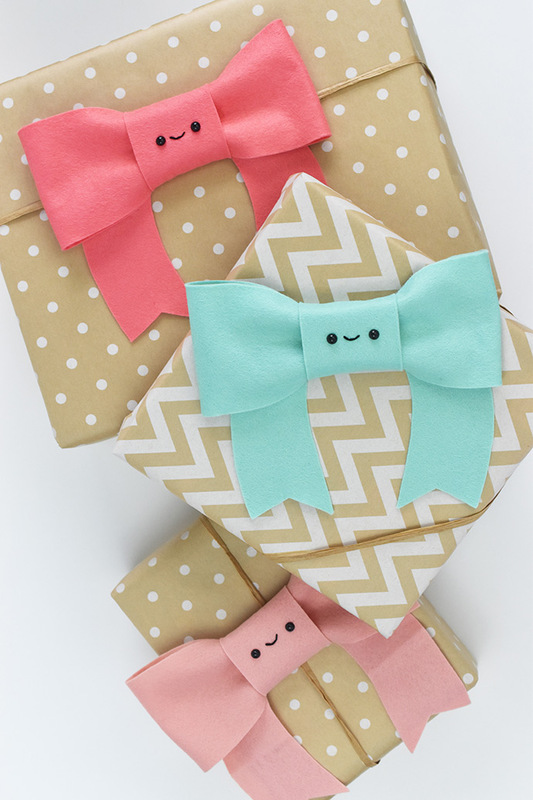 Top your gifts with kawaii cuteness when you make these smiling felt bows! 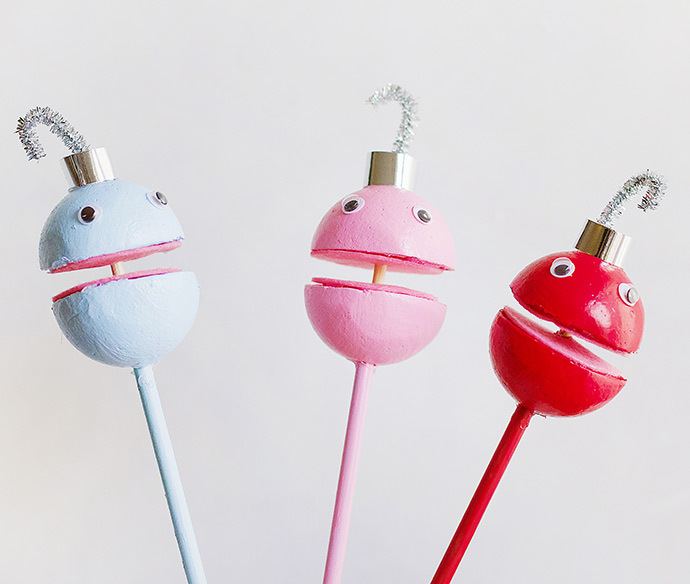 Make a whole choir of these silly singing ornament puppets! 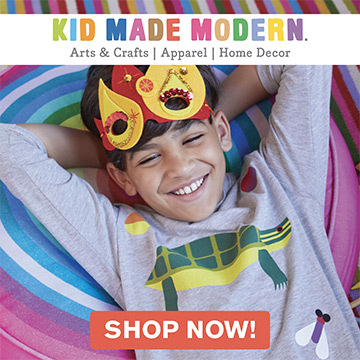 Get Ready for the Holidays with Brush Pen Lettering! 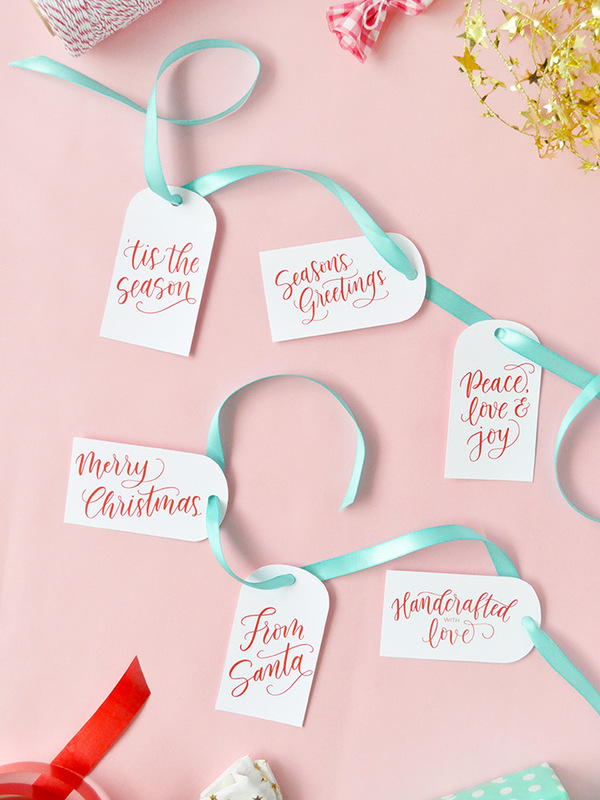 Today we’re excited to be sharing a handful of exclusive printables from calligrapher & author Grace Song! On the fifth day of Christmas, my true love gave to me ... five golden rings! 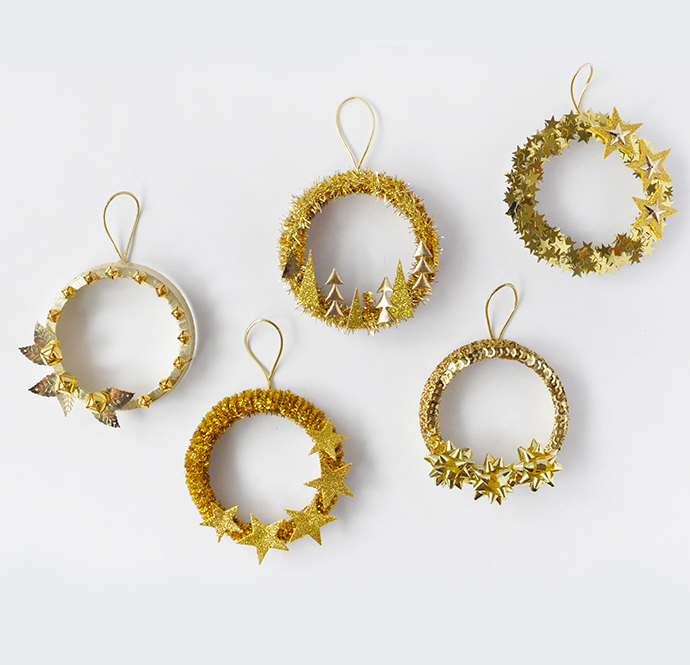 Or in this case, five golden ring wreath ornaments! 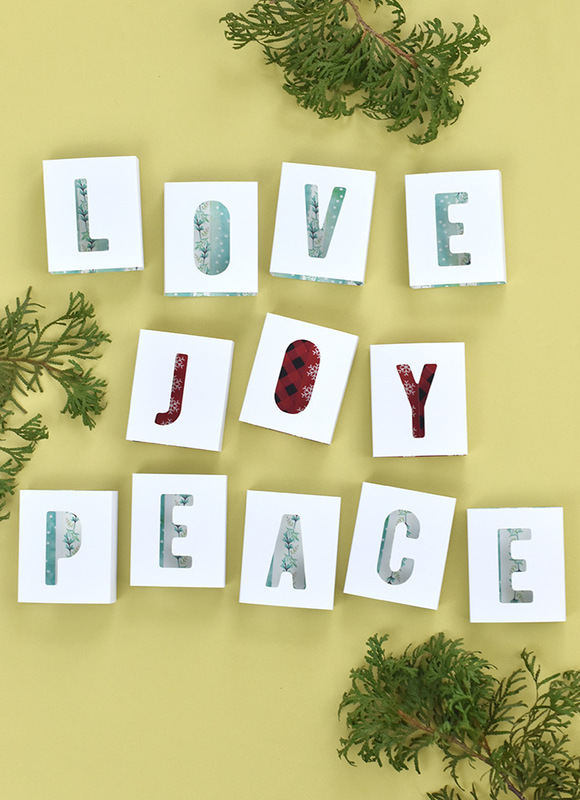 Celebrate the season with dimensional cut-out words of love, joy, hope, and peace! 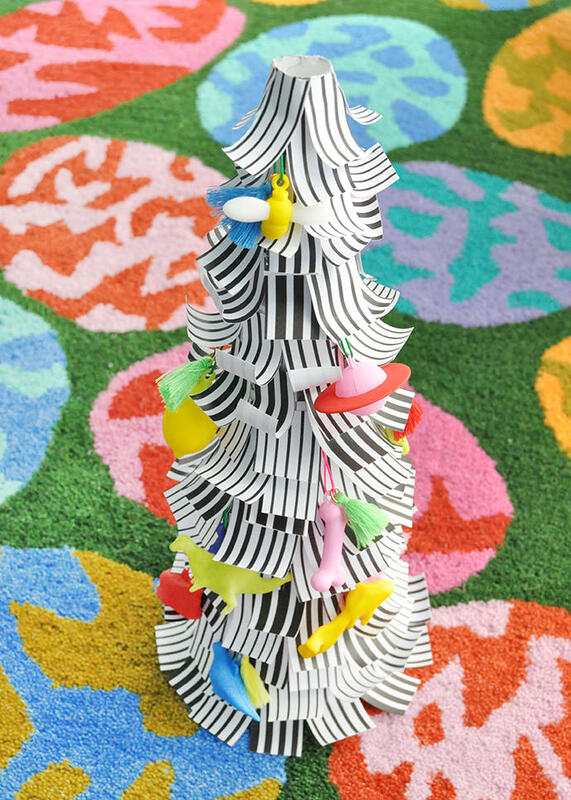 Make this miniature Christmas tree with paper and hand-painted charms from Kid Made Modern! 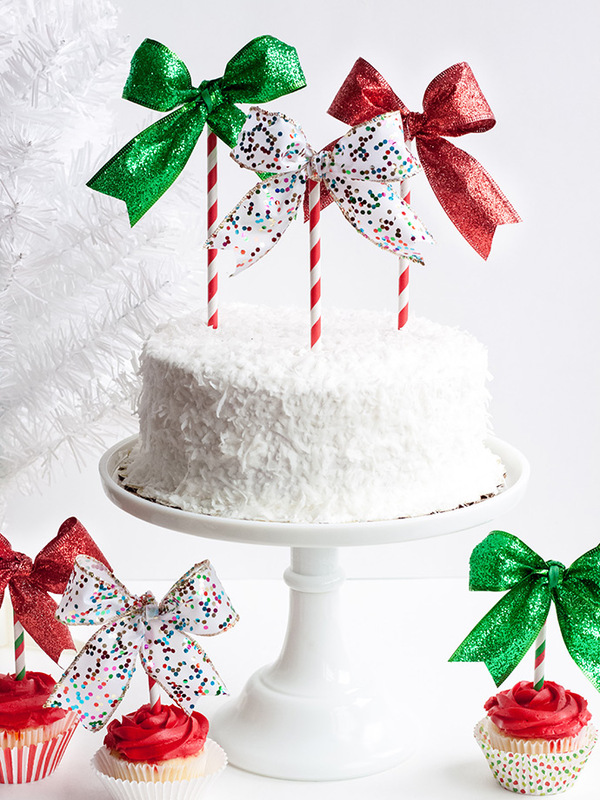 Throw a stress-free holiday party with these easy Christmas bow cake toppers! 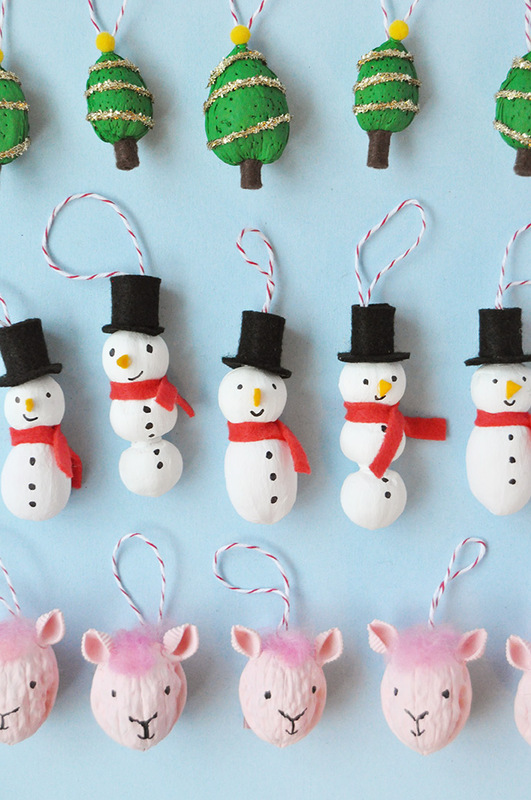 Give mixed nuts a coat of paint and turn them into these playful ornaments!